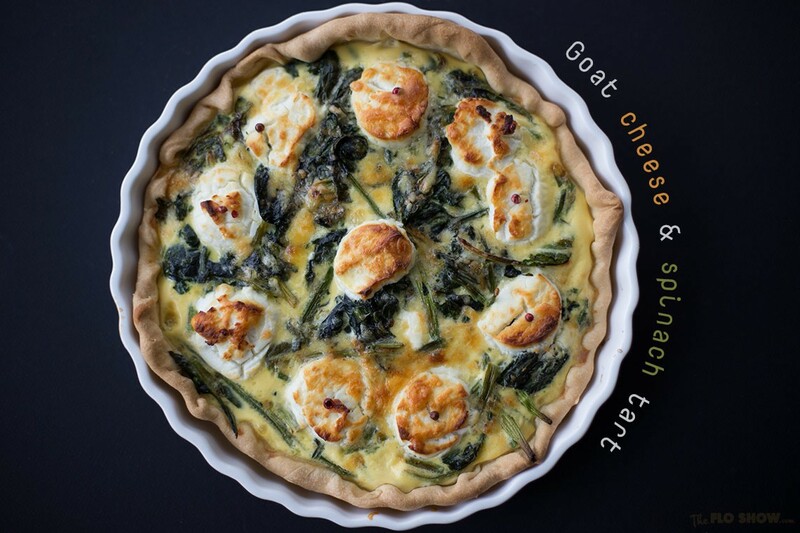 Pairing spinach and goat cheese is a French classic. 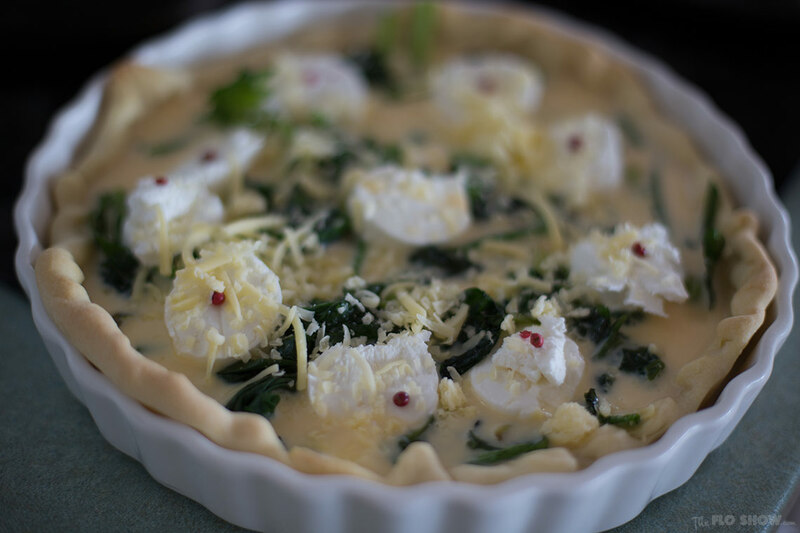 Here I propose a very simple tart or quiche, easy and quick to make. 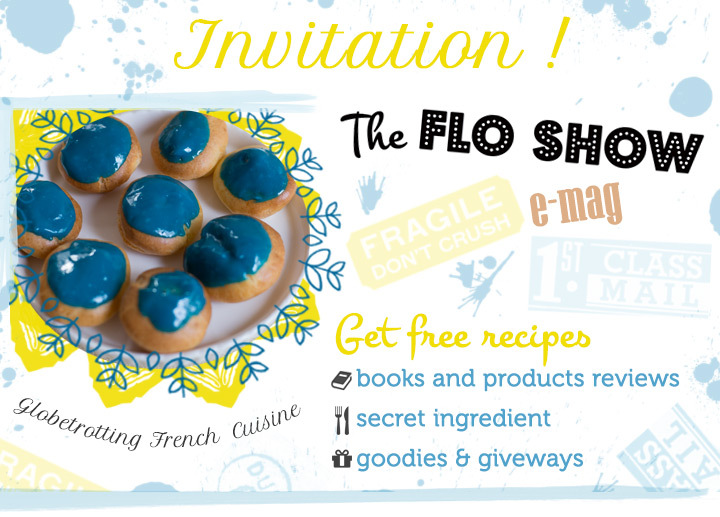 I make the pastry in a food processor: Magimix Cook Expert in a few minutes and let it rest in the fridge for minimum 30 mins wrapped in plastic wrap. I use ceramic beads to hold the sides. The very simple batter is made of 3 eggs whisked with milk, salt and pepper. My special touch is the pink peppercorn decor :) I love their flavour. If you want to buy top quality ones, look HERE. 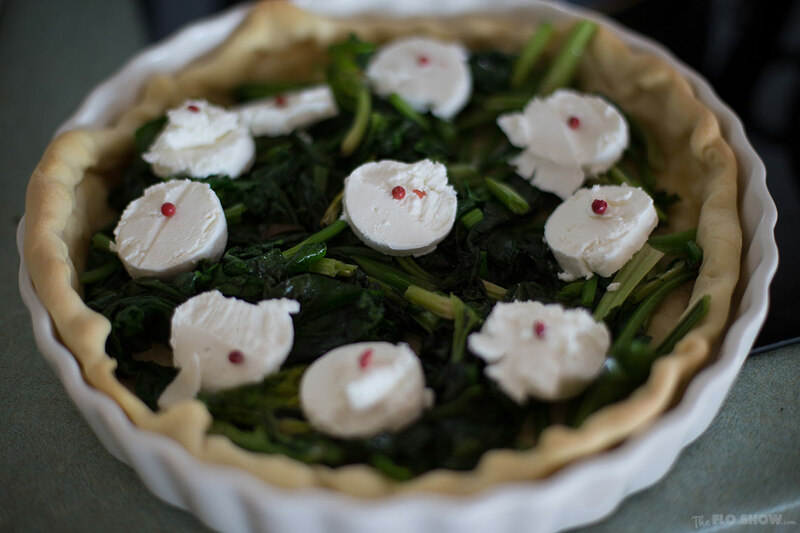 This tart is wonderful warm or cold with a green salad. 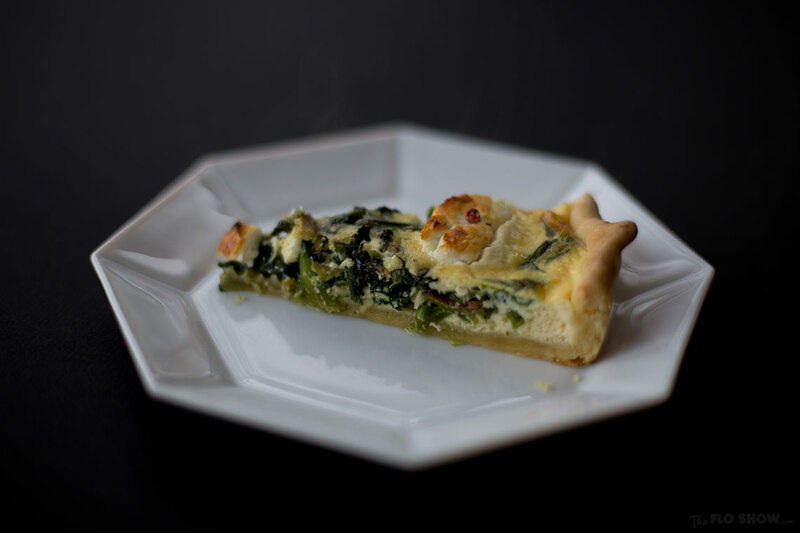 This is a very simple quiche or tart recipe. Make the dough in a few minutes with a food processor and let it rest at least 30 mins, it is much better. Pre-cook it while you quickly cook spinach. It is a lovely vegetarian dish. I use what is called in Australia "English spinach". 1 pinch of salt and cracked pepper or any spice for a special touch. Start with the pastry. Put all ingredients in a food processor, stand mixer or thermo-machine or even in a bowl. Launch the pastry program or mix all ingredients (no heat required) into a ball. It usually takes 2 mins. Wrap it in plastic wrap and put it in the fridge for at least 30 mins. Flatten the ball into a thin pastry with a rolling pin. Butter mould or spray coconut oil. Place pastry in the mould, cut the excess, roll the top of edges a little. Using a fork prick the pastry all over to avoid the crust to rise. 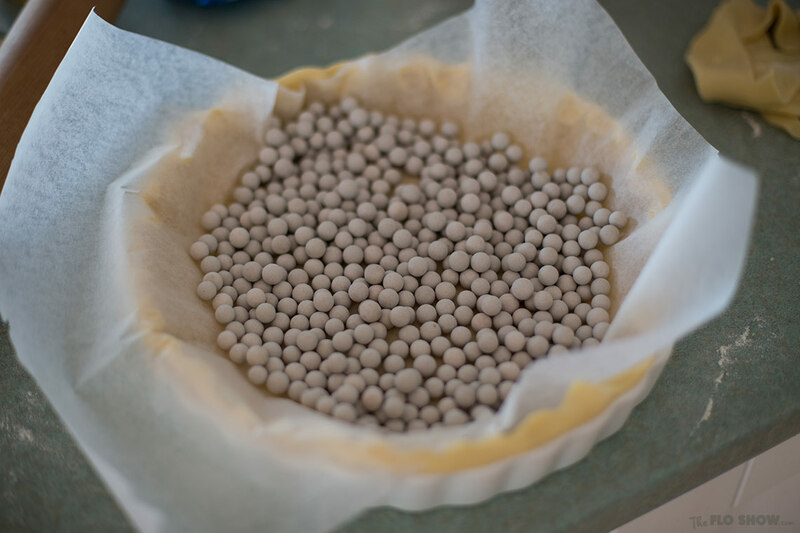 Place baking paper over and pour dry beans or ceramic beads to keep the pastry crust into place and avoid the sides to collapse. Put in the oven until the crust is firm, slightly golden. Prepare the filling. Wash the spinach. Tip oil or butter in a frying pan. On a medium melt the spinach for 3 minutes. In a bowl, crack the eggs, pour the milk, add salt, pepper and nutmeg. Whisk well. Add grated cheese and ham. Cut the goat cheese log in slices. Take the crust out of the oven when ready. Tip soft spinach. Place the goat cheese slices. Sprinkle pink peppercorns or place 1 or 2 per goat slice. Bake for 30 mins or until the top has risen and has become golden.